The Sonifex S2 Split Digital I/O Analogue Radio Broadcast Mixer in Studio 1, the main broadcasting suite at Echo FM. 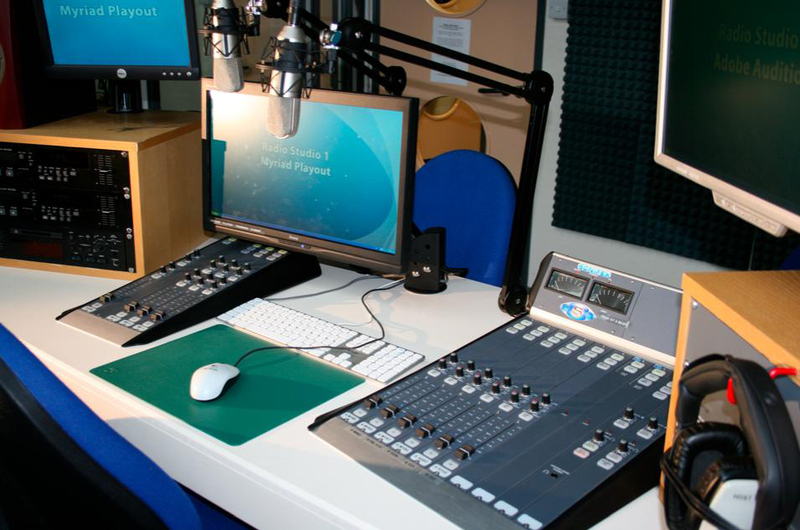 It has two fully equipped studios, where degree students work throughout the year, cutting their teeth as they learn the skills of the trade in a live and busy studio environment. In 2000 it was nominated for the title of BBC Radio1 Student Radio Station of the Year and has hosted celebrities such as comedian Lee Evans and Big Brother winner Brian Belo. In February 2010, the station underwent extensive renovation and refurbishment by Ben Jordan, the RM & PA Technician. He also updated most of the ageing studio equipment and installed a new Sonifex S2 Split Digital I/O Analogue Radio Broadcast Mixer in Studio 1, the main broadcasting suite. The Sonifex S2 Digital I/O Analogue Radio Broadcasting Mixer offers digital audio quality with analogue reliability in a modular format. It has a wide range of input and output channels, PFL/cue, fader-start operation of equipment, automatic monitor muting on mic-live, light switching remote outputs, optional EQ on input modules, gram amp input options and 2 main audio buses, allowing you to broadcast on the PGM bus while recording on the AUD bus, with bus output selection on each module. It also has both digital and analogue input channels, together with simultaneous analogue and digital outputs.